This property is one of those that you just have to see! The living area of the great room has a floor to ceiling rock fireplace with patio doors leading to the deck that looks to the park-like setting yard. Open concept in the living area, kitchen & dining room. The countertops are granite and has a hidden walk in pantry. Also on the main level is a one bedroom with bathroom and main floor laundry. 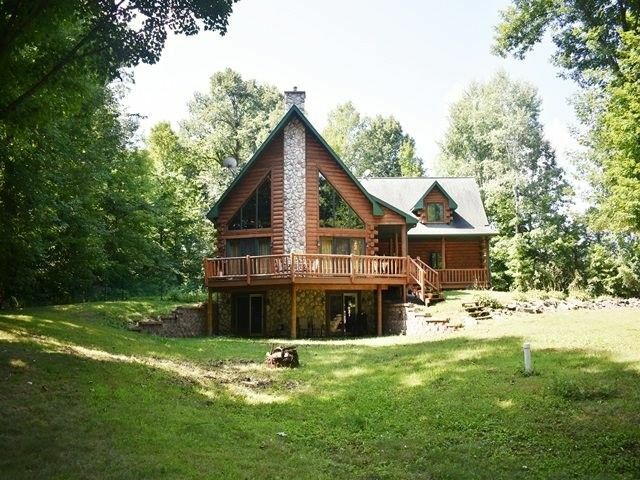 This home has a cedar split log staircase leading up to the loft & master bed & bath. Directions: N on Hwy 97, W on Cty Rd C, N on Ancestor Ln to home on left.